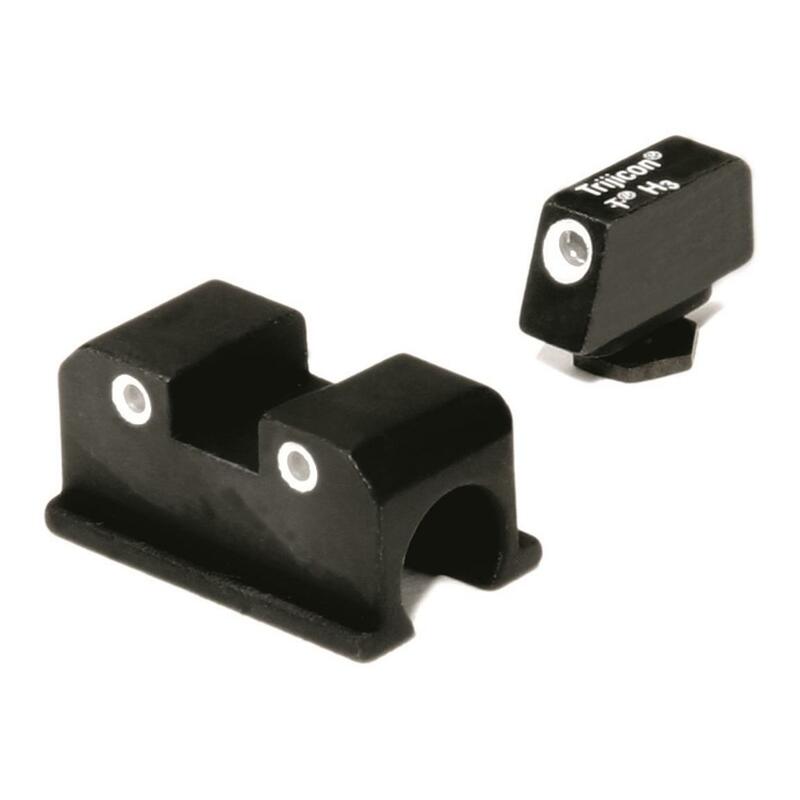 Line up the front and rear dots to increase your night fire accuracy with Trijicon® Bright & ToughTM Night Sights for your Walther® model handgun. Self-luminous tritium phosphor front and rear sights along with your instinctive shooting speed combine to put you on target without the need to change batteries or wait for powering-up. Shock-resistant construction and aluminum cylinders protect the lamps from damage. Sapphire jewel window distributes light evenly while white rings add daylight visibility. Trijicon Bright Tough Night Sight Set, Walther P99/PPQ/PPQ M2 is rated 3.0 out of 5 by 1. Rated 3 out of 5 by Steve from Disappointed Solid product but I was expecting a little brighter. The sight is barely visible in low light. I'll be contacting the manufacturer.